↑ "United Province, UP was notified in Union gazette on January 24, 1950". The New Indian Express. 2 May 2017. मूल से 8 May 2017 को पुरालेखित. अभिगमन तिथि 4 May 2017. 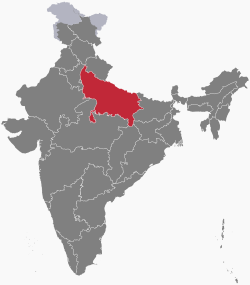 ↑ "Uttar Pradesh District". up.gov.in. Government of Uttar Pradesh. मूल से 15 April 2017 को पुरालेखित. अभिगमन तिथि 12 April 2017. 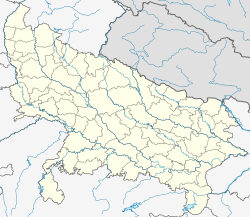 ↑ "List of districts in Uttar Pradesh". archive.india.gov.in. Government of India. मूल से 26 April 2017 को पुरालेखित. अभिगमन तिथि 12 April 2017. ↑ "The Governor of Uttar Pradesh". uplegisassembly.gov.in. Uttar Pradesh Legislative Assembly . मूल से 3 May 2017 को पुरालेखित. अभिगमन तिथि 12 April 2017. ↑ "Anoop [sic] Chandra Pandey takes charge as chief secretary". Hindustan Times. HT correspondent. Lucknow. 1 July 2018. OCLC 231696742. आइ॰एस॰एस॰एन॰ 0972-0243. अभिगमन तिथि 31 October 2018 – वाया PressReader. ↑ "Anup Chandra Pandey took over as the new Chief Secretary of UP". The Pioneer. Lucknow: Chandan Mitra. Pioneer News Service. 1 July 2018. अभिगमन तिथि 31 October 2018. ↑ "Anup Chandra Pandey takes charge as new Chief Secretary of UP". United News of India. Lucknow. United News of India. 30 June 2018. अभिगमन तिथि 31 October 2018. ↑ Bajpai, Namita (23 January 2018). "O P Singh takes charge as Uttar Pradesh's new DGP; bats for professional policing". The New Indian Express. Lucknow. मूल से 24 January 2018 को पुरालेखित. अभिगमन तिथि 23 January 2018. ↑ "O P Singh takes charge as Uttar Pradesh DGP". The Times of India. Lucknow. 23 January 2018. मूल से 23 January 2018 को पुरालेखित. अभिगमन तिथि 23 January 2018. ↑ "23 days after appointment, OP Singh finally takes charge as UP DGP". Daily News and Analysis. 23 January 2018. मूल से 24 January 2018 को पुरालेखित. अभिगमन तिथि 23 January 2018. ↑ "Social Demography" (PDF). Government of Uttar Pradesh. मूल से 29 June 2017 को पुरालेखित (PDF). अभिगमन तिथि 30 August 2017. ↑ "Statistics Of Uttar Pradesh". up.gov.in. Government of Uttar Pradesh. मूल से 12 April 2017 को पुरालेखित. अभिगमन तिथि 12 April 2017. ↑ "Sub-national HDI - Area Database". Global Data Lab. Institute for Management Research, Radboud University. अभिगमन तिथि 25 September 2018. ↑ अ आ "Census 2011 (Final Data) - Demographic details, Literate Population (Total, Rural & Urban)" (PDF). planningcommission.gov.in. Planning Commission, Government of India. अभिगमन तिथि 3 October 2018. ↑ "उत्तर प्रदेश का नक्शा | Map of Uttar Pradesh in hindi | State map of Uttar Pradesh in hindi". अभिगमन तिथि 1 मार्च 2019.